Perhaps by now, you are noticing that the Technique Junkie Design Team members are showing lots of Christmas cards! Christmas is a wonderful season with many celebrations. 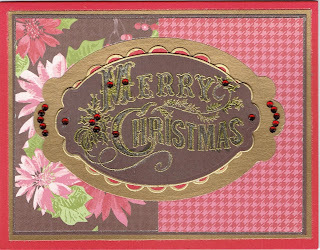 My card today features the Technique Junkie Stamps Merry Christmas stamp - http://techniquejunkies.com/merry-christmas/ . I used pieces of background paper discontinued several years ago. But it goes with this stamp perfectly! I embossed the image with Detail Gold embossing powder. Then I colored in the letters carefully with a deep green Copic marker. I added some red rhinestones for bling. 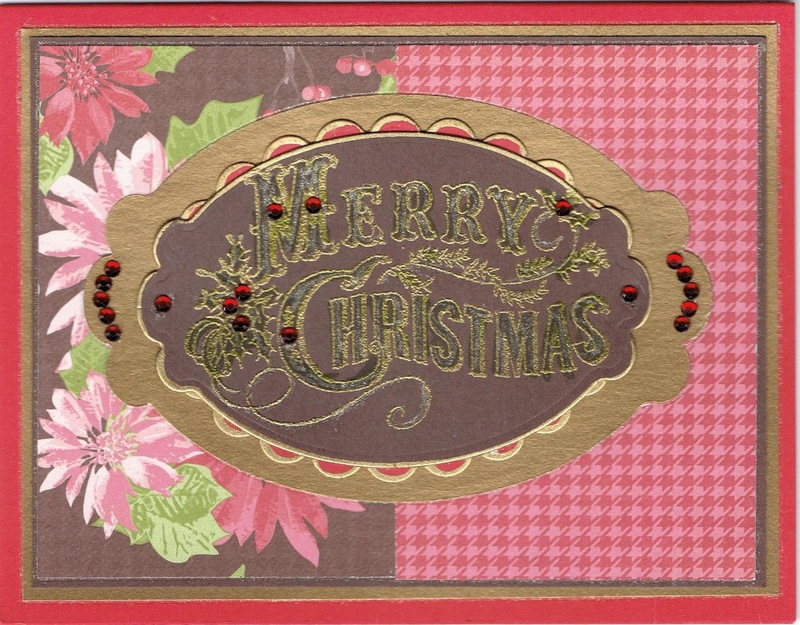 Then I cut out some layers with Spellbinder dies. I edged two layers with a Krylon gold pen. And I was done! How are you coming on your Christmas cards? In my reorganization of my stamping supplies, I found a lot of Christmas cards from previous years. So I am going to use those to save me some time this year. I will still need tomake about 20 or 30 more cards. Have a really fun stamping day!